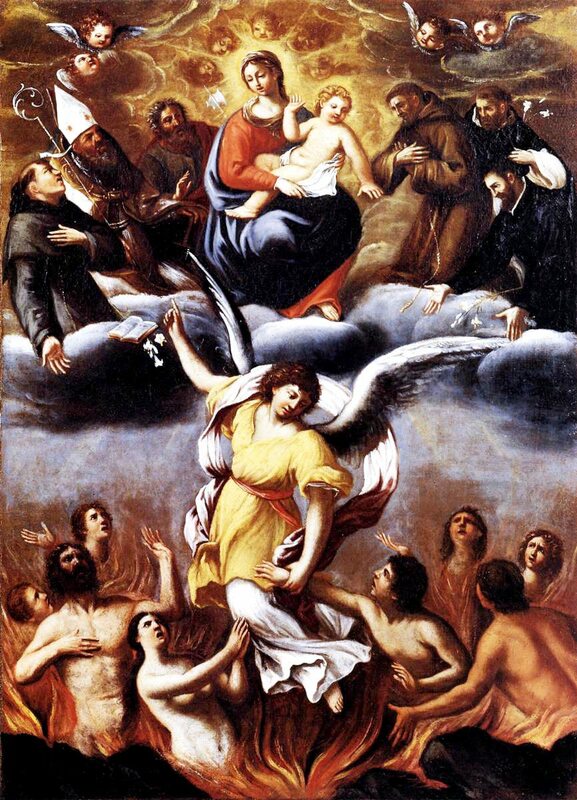 Because there are many indulgences that can only be obtained in November, now is a good time to discuss Purgatory and the two types of indulgences. Purgatory is one of the distinguishable doctrines of the Catholic Faith. You’ve probably heard at Mass or read in Catholic Faith books that purgatory is one of the places one goes after death. What is purgatory and how is it different from heaven or hell? 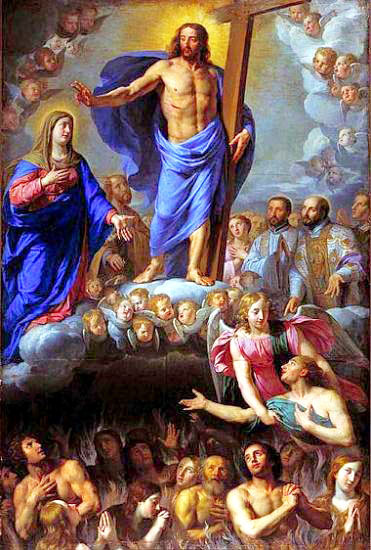 The word purgatory is derived from the Latin word, “purgare,” which means “to make clean” or “to purify.” According to the teachings of the Catholic Church, purgatory is a place or state of temporal punishment for those who died in God’s grace but who are not entirely free from venial faults or who are still in need of purification in order to enter into heaven. When he said “Truly, I say to you, whatever you bind on earth shall be bound in heaven, and whatever you loose on earth shall be loosed in heaven.” “Whatever” means anything, including punishment for sins. The purification process is important because nothing unclean is permitted to enter the presence of God in heaven. Although our mortal sins are forgiven when we die, many other impurities can still exist in us like venial sins. In other words, one needs to undergo the purification in purgatory in order to achieve holiness that is necessary to enter the joy of heaven. Only those who died in a state of grace but who have not yet fulfilled the temporal punishment because of their sin can be in purgatory. Therefore, purgatory is a temporary state and no one staying there will remain there forever nor will they go to hell. According to Catholic Faith teachings, the actions of the faithful living on earth affect the fate of those in purgatory. We can help those in purgatory by offering prayers of suffrage, almsgiving, works of penance and indulgences. The Catechism of the Catholic Church describes indulgence as “a remission before God of the temporal punishment due to sins whose guilt has already been forgiven, which the faithful Christian who is duly disposed gains under certain prescribed conditions through the action of the Church which, as the minister of redemption, dispenses and applies with authority the treasury of the satisfactions of Christ and the saints." You can gain indulgences for yourself or for the dearly departed but you cannot gain an indulgence for another living person. Today, a partial indulgence is obtained whenever we think pious thoughts, pray, do good works, etc. A person can receive partial indulgences several times a day. Reading the bible for a short time. Gaining a plenary indulgence is a bit more involved. Be free from all attachment to sin, including venial sin. *If you attempt to receive a plenary indulgence, but are unable to meet the last condition, a partial indulgence is received instead. Remember! It is official church doctrine that the faithful can and should try to receive all of the indulgences in this life that they can, because they will mitigate and maybe eliminate a lot of pain and suffering of purgatory.